My hat is off… won’t you stand up and take a bow? No. Not solo. Thinking about the recordings I’ve made this year I have to acknowledge the great musicians and friends who have made it possible for me to sit here on the eve of releasing an album of my own music and fulfilling a dream. Mark O’Reardon has been working with me for over a year. 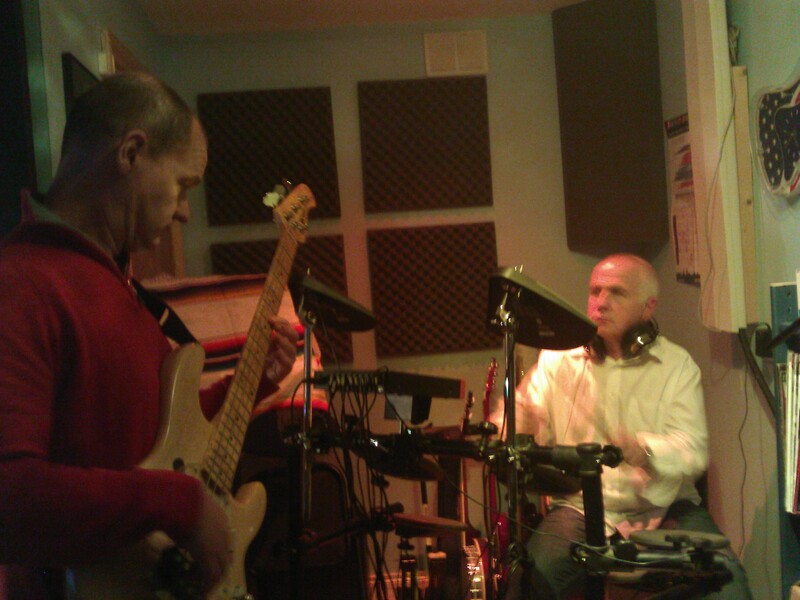 Spending time learning the songs, doing bass parts and playing gigs. Then he spent tiring evenings putting down bass tracks until they were just right. I have really enjoyed his “Blockheads” noodling which brought some nice rhythm to the songs. 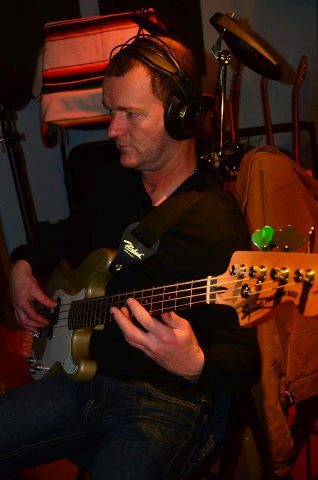 Mark is now a full-time musician so if you’re looking for a session player who will bring something to the party… look no further. Speaking of the bottom end… my long time pal Dan Prendiville helped me out when demoing the songs and one of his bass parts stayed through to the end on the song ‘Dirty Little Secret’. I first met Dan in the early 1980s and we were in a band together for all of a month. It’s great to have someone you can trust with raw ideas. Dan encouraged me when I started writing songs ‘properly’ about 4 years ago. Whenever I hit a block on lyrics I knew I could depend upon his literate mind. You should check out his back catalogue: he’s quite prolific. The songs were recorded in my home studio which was a bonus in many ways (no clock watching) and a problem in others (no clock watching). The core recording system was a 12-year old ProTools TDM system running on a Mac G4. This system was state of the art and good enough for albums in the 2000’s so it was good enough for me. I needed some current technology for samples/loops/synths so used a 2007 MacBookPro with an old version of Logic. Early in 2012 the Ma cBookPro died (well sort of… it works but you can’t see anything on the screen). I took stock of what I was doing and realised I was limiting myself transferring some parts from Logic across to ProTools. This was an opportunity to step back and think about what I really needed. I bought a Mac Mini Server with plenty of power and RAM. I invested a week of evenings in learning Logic Pro. The initial learning curve wasn’t as tricky as I was led to believe and most of the time (thanks to the internet) I can do what I need to with the system. My core tools haven’t changed: good microphones, mic-preamps, an acoustically treated room and some good monitors. 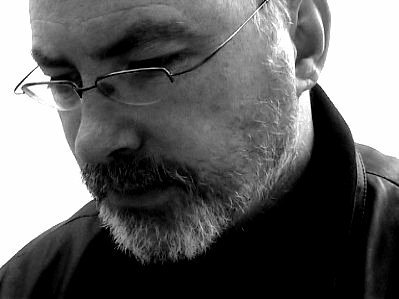 Late in 2011 I was introduced to Tim Creedon who I had met in the past. He has been a stalwart of the live music scene in Dublin: go look him up I think you’ll be impressed with his resumé. Tim came along to a gig one Sunday and said he’d like to play. This was a good move on Mark’s part because I was unsure whether I would be able to progress to a traditional 3-piece act. 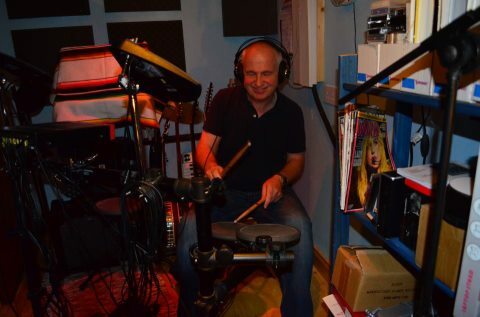 He was right and by early 2012 Tim was in my studio playing an electronic kit. The electronic kit triggers real drum sounds and makes the recording process so much easier for a novice producer like me. Many albums these days use drum replacement: the original drum sounds are replaced with samples of wonderfully recorded drums. Tim has brought a great dynamic to the songs. Something y9ou cannot always get with programmed drums. His experience was spot-on when making arrangement suggestions. When I was writing the song “This Hometown” I heard it as a duet. The subject matter of the song is a couple who are emigrating. They’re not going because they are being forced to: they’re making a choice and going to explore the world. The female voice was part of the conversation. Mark suggested I contact Suzanne Bushnell whose reputation as a quality singer and performer was known to me. I have to admit I was unsure if Suzanne would agree: remember I’m doing all of this on a shoestring and cannot realistically pay people. I wish I could but I can’t. 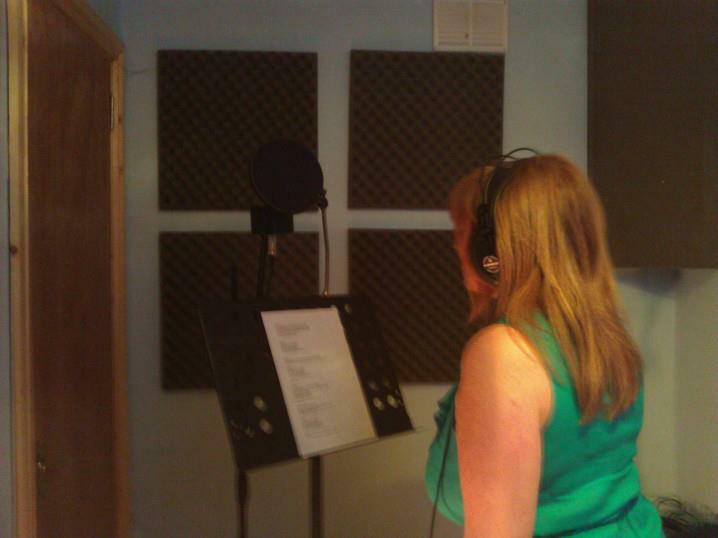 The subject never even came up and I was delighted with Suzanne came to the studio and nailed the track in a single session. Her performance was so good I had to give myself a good talking to and re-record my own vocal. 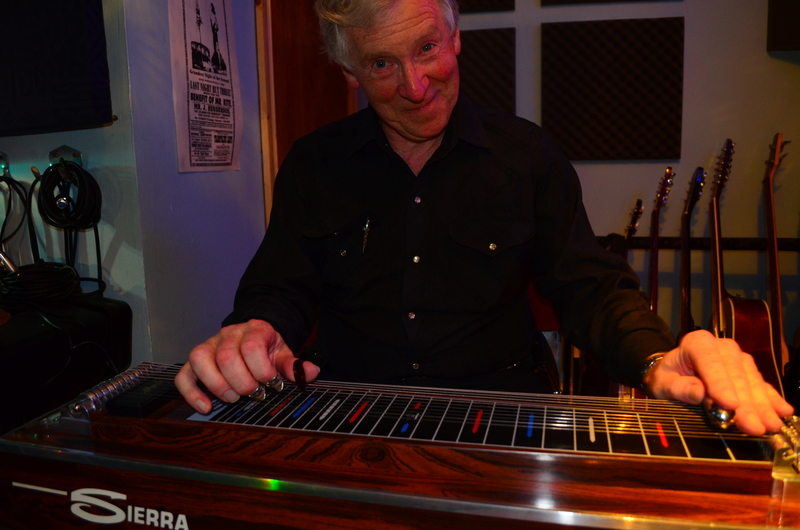 Encouraged by the success in brining Suzanne into the studio I commented that the song “Elvis Has Left The Building” would benefit from a Pedal Steel guitar. I adore the sound of this instrument. I first became truly aware of it when I got my first copy of George Harrison’s “All Things Must Pass” triple-album. 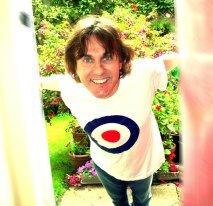 Pete Drake was the point of reference when I sat writing the song so I decided to go for it. I was introduced to a real gentleman: Joe Ryan. A consumate professional musician and a joy to work with. Way back in the 1980s when I was hawking my godawful synth playing around town I ended up in a wonderful band which featured David Mayne.Dave is a professional musician and has studied under some jazz legends. A chance encounter meant our paths crossed a couple of years ago. 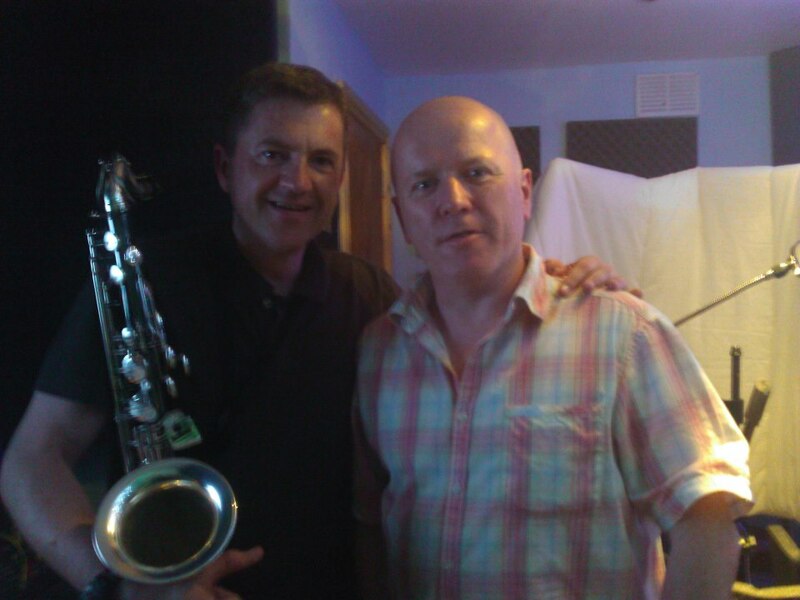 I asked if he was interested in making a recording as I had a song which I reckoned would benefit from tasty saxophone. Dave obliged and gave me several tracks which I had great difficulty choosing from. “Saving Souls” features Dave and the track wouldn’t work without his contribution. While working on “Saving Souls” I heard in my mind’s ear an acoustic slide guitar being played with bottleneck. I’m not really a lead guitar player and it really needed a blues influenced player. Step up Jude Shiels. 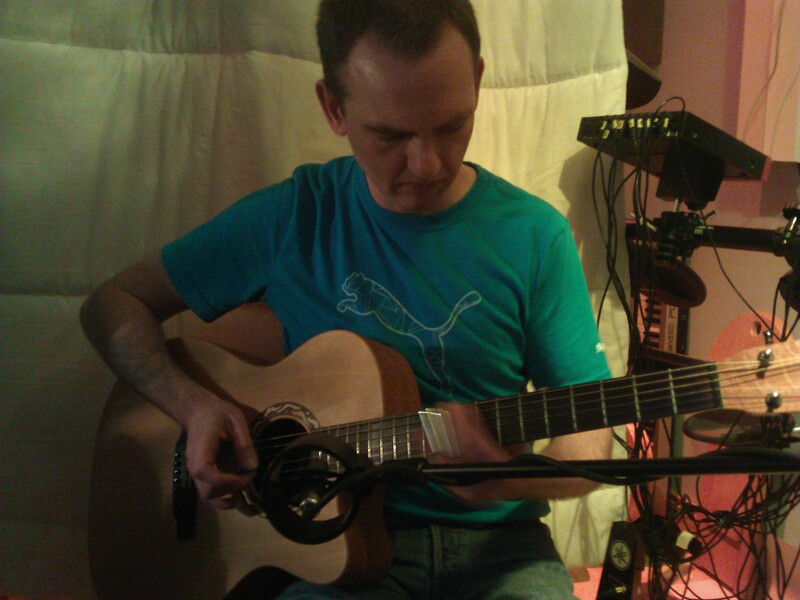 Jude is a great family friend and he popped into the studio one saturday afternoon nailing the track in 2 takes. I’m sure when you hear the song you’ll agree that he brought a lovely atmosphere and vibe to it. Last but, of course, not least the track “From The Other Side Of The World” which was lifted by the slide & lead guitar parts Steve Somerset emailed to me.The internet allows me to work with any musician regardless of their location and Steve’s contribution demonstrated how technology is putting great power into the hands of independent artists. When our mutual friend Paul Culnane passed away I wrote the song (with lyrical help from Dan) and thought it would be great to get Steve to contribute. I was right: I asked him to channel the spirit of George Harrison and damn me if he didn’t nail it ! It’s great to have friends and although I’m probably truly a solo artist (since you cannot really be in a band once you’re out of your teens… an argument for another day) it has been rewarding working with such good friends and talented people.